Alex’s interstellar relationship has finally been sealed in the eyes of the human world, so now she can move on to her next step: college. With Ace by her side and a new piece of jewelry on her finger, she thinks she is ready for anything. Well, almost anything. Her new roommate holds a dangerous link to her past that Alex isn’t sure if she can handle. Then there is the whole alien fiancé thing. Every time she tries to get closer to Ace, he seems to pull further away. Top that off with a full summer class load and a few more alien attacks and it’s just another day for Alex. 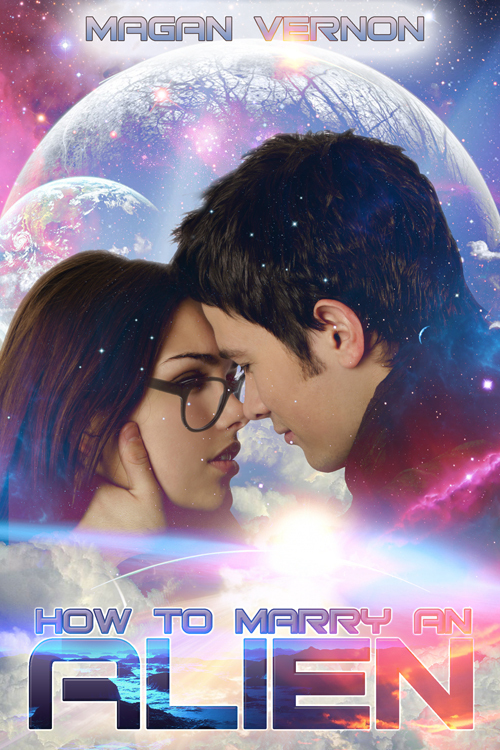 Except this time she isn’t sure if marrying an alien will be the happy ending she’s hoping for. I so totally love the cover. I haven’t read the first two books in the series and am wondering why that is so. I mean it has a lot of positive reviews and the blurb sounds really interesting. It’s going on my TBR list. What about you? I love the covers as well! I've been wanting to read this series for along time! I love aliens!